1) Type I, or insulin-dependent diabetes mellitus (IDDM), is characterized by it beginning in childhood and requiring insulin shots for treatment. 2) Type II, or non insulin-dependent diabetes mellitus, is characterized by running in families, by occurring more commonly among obese individuals, and by being able to be controlled by medication taken by mouth. Since blood glucose is the major nutrient for many organs, including the brain, it is not surprising that diabetes causes a variety of manifestations. For example, as a diabetic you have a much higher probability of developing progressive kidney disease. Atherosclerosis, or hardening of the arteries, is accelerated in individuals with diabetic. The nervous system is affected leading to, among other things, decreased sensation. Even the eyes are affected, making diabetes a leading cause of blindness in this country. With this background in mind it is not surprising that diabetes would exhibit manifestations in the skin. One in five diabetics who are hospitalized are admitted because of diabetic foot complications, thus making them a significant problem. Diabetics have poor circulation due to atherosclerosis of the larger arteries supplying the foot and leg, which decreases the diameter of these vessels. The smaller blood vessels are also affected, as diabetes causes them to thicken and eventually occlude. Superimposed on these factors is the decreased sensitivity of the nerves supplying the lower extremity. This means that a diabetic is more likely to injure the foot, even severely, without being at all aware of it. Diabetics have been known to walk all day long with objects the size of plastic toy cars in their shoes, only to discover them at the end of the day. When a diabetic suffers from an injury that breaks the skin, they can take a very long time in healing, and are predisposed to having severe infections in their feet because of the poor blood supply and the decreased resistance to infection associated with the illness. Not uncommonly they progress to gangrene. Moreover, infections put the diabetes out of control by often causing tremendous elevations of blood glucose. With this in mind it becomes clear why prevention is paramount in the care of the diabetic foot. Footwear must be comfortable, and must be inspected always before use. The feet must be inspected thoroughly daily to detect any break or injury to the skin. They should also be kept clean. Smoking must stop, as nicotine reduces blood flow in the small arteries. Extreme care must be exercised with every minor injury until it heals. If they don't, or if there is fever, or abnormal elevation of blood glucose, the physician must be contacted immediately. These same considerations apply to the skin covering the stump of an amputated extremity. Treatment involves antibiotics, meticulous wound care, medications to improve blood flow. Sometimes skin grafting, and the use of oxygen to speed healing are used. 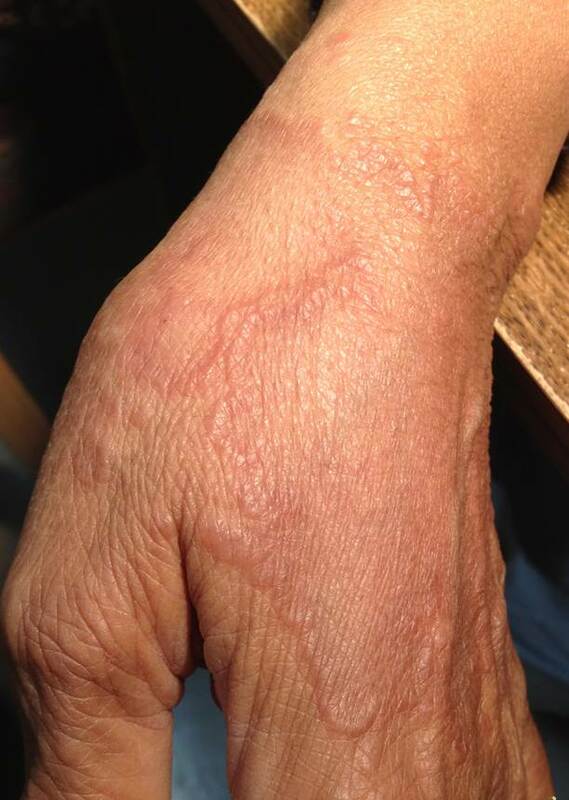 This is a benign skin conditions characterized by raised dome-shaped patches of reddened skin that often assume an annular shape. It commonly affects the back of the hands and the top of the feet. It occurs more commonly in women, and in most cases it appears before an age of 30 years. As it is true of other skin conditions, granuloma annulare is not caused by diabetes, but it is more frequently found in diabetics. It also occurs after insect bites, sun exposure, and injury. The lesions resolve within two years in more than half of all patients (80 %), However, there is a small subset of patients in which the condition may be chronic. Treatments to control the condition include steroids, excision, ultraviolet light, and liquid nitrogen. This lesions occur three times more commonly in women, and are usually on the anterior and lateral surfaces of the lower legs. 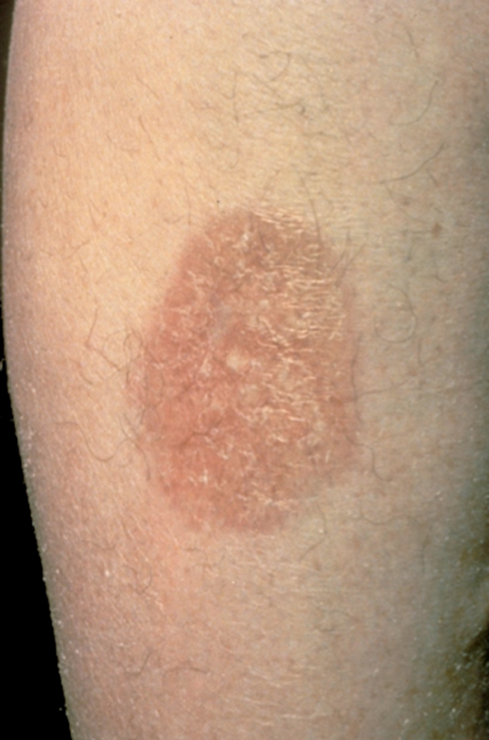 The lesions are small, dusky red, elevated, with a sharp border. It slowly enlarges, becomes irregular in outline, flattened, and eventually leaves a thin, shiny skin. The condition is associated with diabetes. Treatment is very important and consists of steroid creams injections. Aspirin and medications to improve blood flow are also helpful. This condition is defined by multiple brown shallow scars in the anterior part of both legs. Lesions have sharp borders to the normal skin. It is the most common skin condition in diabetes, and most patients who have it are diabetic. 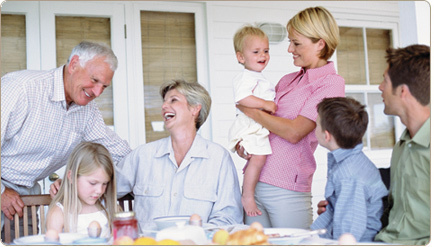 It occurs more commonly in adults, males, and in people with severe or long-standing diabetes. It is not known what causes diabetic dermopathy, but injury as well as poor circulation are contributing factors. This c ondition is harmless and requires no treatment. In people who receive injuries to the shins, protection is appropriate. In non diabetics, the physician should be alert for hidden abnormalities of blood glucose control. 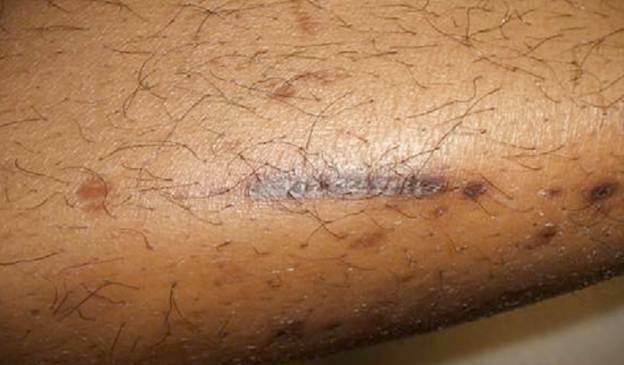 They are a distinct diabetic skin condition manifested by large blisters that appear suddenly in legs and arms, especially the lower leg and forearm. Lesions remain for up to six weeks, dry, and usually heal without scarring. Both sexes are equally affected, and all patients are diabetics. Generally no treatment is necessary. Large and tense lesions can be drained, and managed with topical antibiotics. This lesions is characterized by a darkening and thickening of the skin, which also acquires a velvety appearance and texture. It is found in the armpit areas, groins, and in other places where skin is in contact with skin constantly. Control of obesity may cause regression. This is a harmless red coloration of the face found sometimes on diabetics. The diabetic may develop allergies to insulin that often become manifested in the skin. Switching to human insulin may resolve this complication. Also, failing to alternate the injection sites can lead to both loss of fat, or to an abnormal growth of fat in the area. Logically, it is best to rotate injection sites for prevention. - It is important that you be able to give yourself all your injections, so sites of injection should be selected that you can reach. Occasionally, if you wish, someone else may inject insulin into your arms or buttocks. 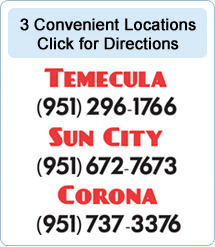 - The same general area for an injection should be used no more often than about once a month. Injections into the same spot will prevent the insulin from being absorbed well, so you will not get full benefit from the insulin.